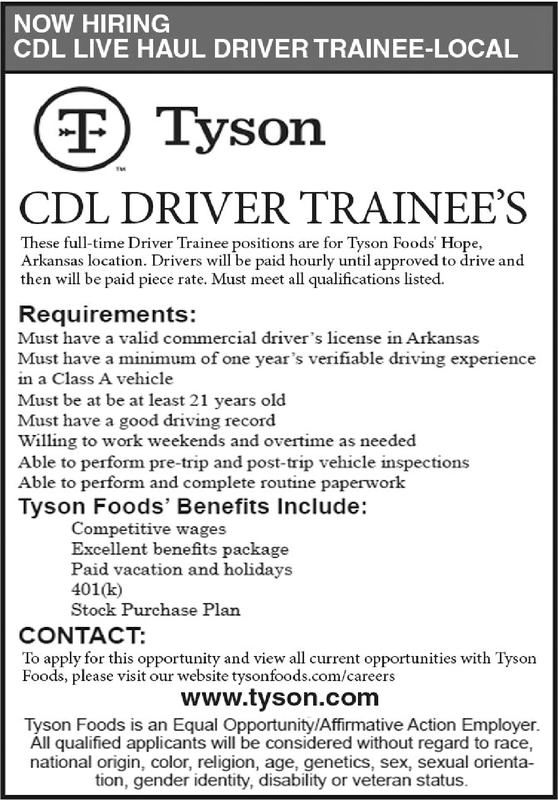 These full-time Driver Trainee positions are for Tyson Foods' Hope, Arkansas location. Drivers will be paid hourly until approved to drive and then will be paid piece rate. Must meet all qualifications listed.